Cats are almost the perfect pet. They aren’t high maintenance but they are cuddly and soft. If you’re especially blessed, you’ll have an extraordinarily affectionate cat who wants to be around you all the time. Fortunately, most people who are yearning for some pet love can take on a cat but there are still considerations to make before you decide to adopt one. Unfortunately, cats are known to incite allergies in humans. If you are aware that you have a cat allergy, you may not be ready for a cat. Allergies can range from mild to very severe. If you are only slightly allergic, you might be okay with sniffles every so often and popping an allergy pill. Occasionally, allergies don’t manifest for years to come. There are several anecdotes of people whose allergies symptoms did not appear until a few years after they welcomed a cat into their home. However, there are hypoallergenic cats out there and some breeds are known for being less allergy-inducing like Russian Blues. Fortunately, most adoptions now let prospective parents takes the pet home for a few days or even weeks as a test run – to make sure both pet and human are jibing (and your allergies aren’t kicking)! Even though cats probably need less medical care than dogs, you should still prepare to pay for routine vet visits. When you first adopt a cat you will need to get an initial vet consultation. First treatments include deworming, testing for FELV and FIV, and spaying or neutering. 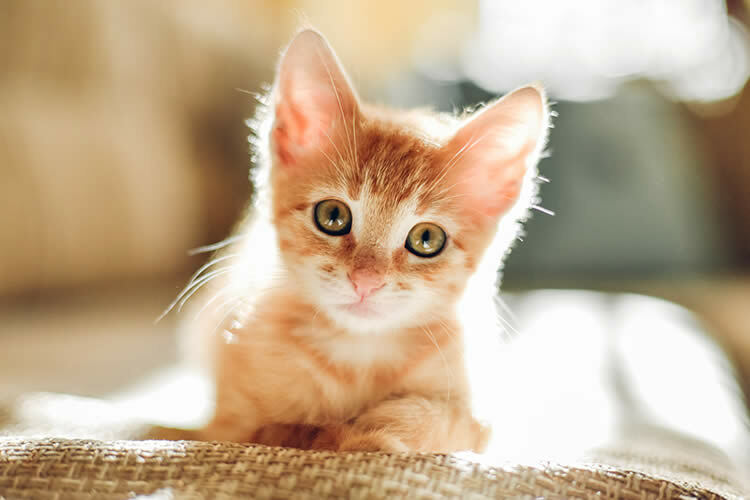 Because cats are more prone to urinary tract ailments than dogs, you may want to get a urine sample in the beginning to make sure their bladders are functioning properly. Yearly vet visits should also be made as well as teeth cleaning at least every two years. Outdoor cats will require more medical attention; they are prone to contracting diseases and parasites. For this reason, it is not recommended that you let your cat go outdoors – especially if he is FELV+ or FIV+. Cats require a lot of stimulation in the form of toys and cat towers. They love toys that move. Tracks with balls, birdies on a string, and fake mice are some of the favorite toys of cats. A cat tower can be expensive – very tall ones can be about $150. However, it is a wonderful investment – you’ll find that your cat will spend a substantial amount of his time playing and sleeping in his tower. Some cats are resistant to drinking enough water which can bring on urinary tract diseases. To ensure that they drink enough fluids, invest in a running water cat fountain – cats love to drink trickling water. If you don’t want to get a fountain, try a water additive that makes drinking water more attractive to them. A few dollars spent on this additive will save you hundreds of dollars years later. Naturally, you’ll need to buy a litter box for your cat. The mechanized automatic litter boxes are expensive and hard to clean and are not necessary. The best litter box will have a cover that snaps on top of it. Cats, surprisingly, like to urinate and defecate in private. Additionally, the covered litter box will minimize odors. For such a great addition to your cat supplies, this type of litter box will cost you a mere $20. Cats like to “knead.” They are known to scratch up furniture, curtains, and bedclothes. Do you have very expensive home furnishings? Either cover them up or be prepared for the inevitable – your cat will cause damage to them. There are remedies for this cat instinct – veterinarians and cat groomers provide “cat acrylics” or fake plastic claw covers that are superglued onto their real claws. These fake claws last a few weeks until they fall off with the natural claw growth, and they save your furniture from damage. Even though this treatment will cost you some money, it may be worth it. Cats sometimes act arrogant and snobby. Some cats are downright obnoxious in their disdain for you. Don’t buy into it. They need you. They need your attention. Don’t assume that they can get along fine without you. Cats don’t want to be alone – it is not enough to merely provide bowls of food and water. They need your presence and they need to know that they can come and go as they please – and that you’ll be there when they decide they need some human affection. Go to an animal rescue group. Ask to foster a cat. With the explosion in cat populations, rescue groups are overloaded with cats. They will gladly let you foster one of their cats which can be a trial period for you. This is the best way to figure out if you’re ready for a cat and you get to help a rescue group save a life.